Talk about self-important. Mike Frerichs - who is running for Illinois State Treasurer - loves himself something good. So much so, that he goes around wearing a 'sash'. 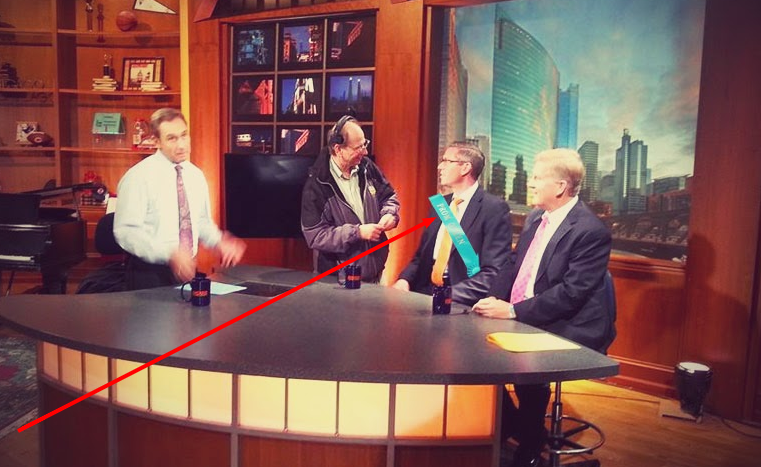 He's worn it plenty of times before (see some of them here), but this is the first time we've seen him wear one as he was about to go on television (Chicago Tonight). Do we really need a politician in Illinois who wears a sash? We don't think so. Let's back someone who is a bit more real. A bit more down to earth. A bit more...can we say 'sash-less'?! ?